Yesterday was a great day filled with music and conversations with artists and fans. 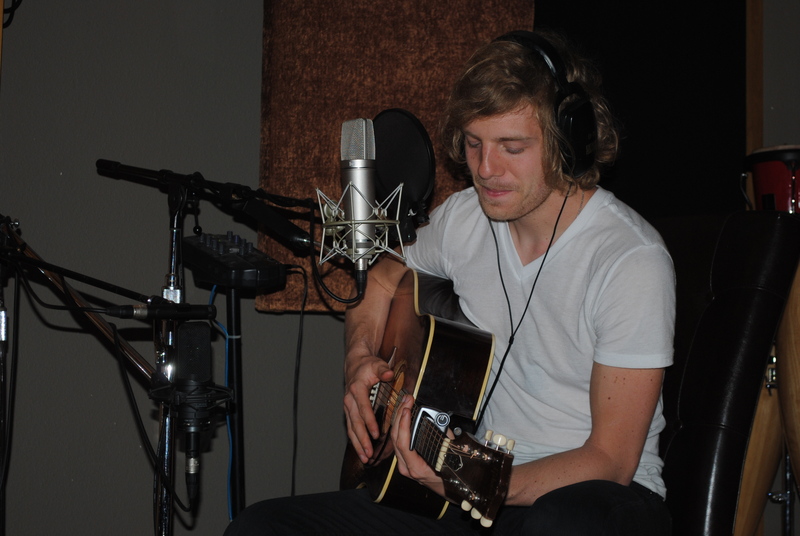 In the afternoon, I hosted Andrew Belle at Flyboy Studios for an exclusive interview session for The Appetizer. We had a great time. It turns out we share a love for the Chicago Bears as well as the culinary arts. Andrew’s music is captivating and his stories are as well. He later shared the story behind a song called “My Oldest Friend” that deals with a longtime buddy who he had an altercation with which led to somewhat of a fist fight. The situation led to him almost going on a daytime judge TV show (Joe Brown I think) but he decided instead to deal with his side of the emotions from that by writing a song. It’s a really powerful one too, found on his album The Ladder. He performed an acoustic version of The Ladder in the studio before taking off to explore the wide world of Abilene, Tx. I don’t know where all he went but he did go to Hastings and picked up some albums on vinyl that he showed me later. I love vinyl as well. What a great piece of musical history that’s coming back. The show later at Monks Coffeehouse was a great time. I enjoyed getting to meet and talk with a lot of new people, many of whom traveled quite a ways to come to Abilene to see Andrew, including Chrystal from San Angelo and Michele who came all the way from Galveston. That’s dedication and love for the arts there. It’s always great talking with people who appreciate music so much that they will travel many hours in the car (and spend the gas it costs to get there at $3.40/gallon) to see a small show. If you’re someone who does that as well, thank you. It means a whole lot to the entire music community, and we really appreciate it. Leading up to Andrew’s set was this great indie guitarist named Cody Carnes. 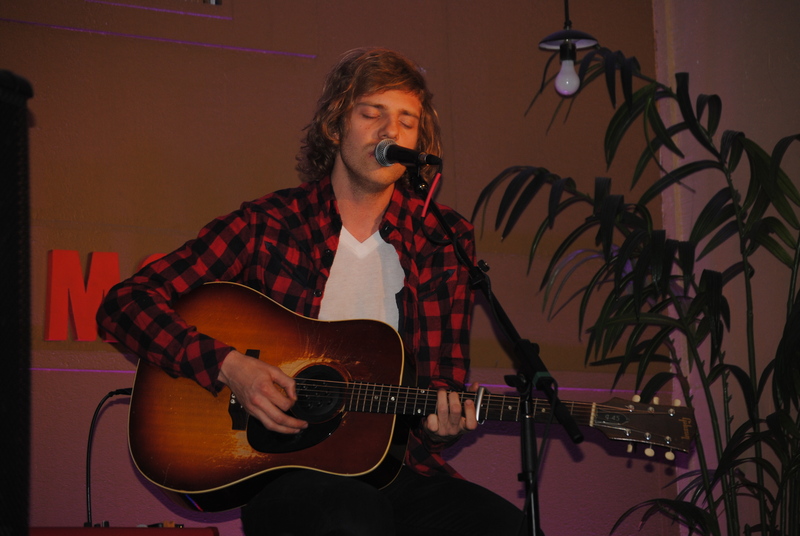 Cody had such a pleasant and fun stage presence, and he is a terrific performer. He lives in Dallas and said he plans on coming back this way again soon. I’m not a huge fan of pop-driven love songs, but his writing is very catchy and deep at the same time. 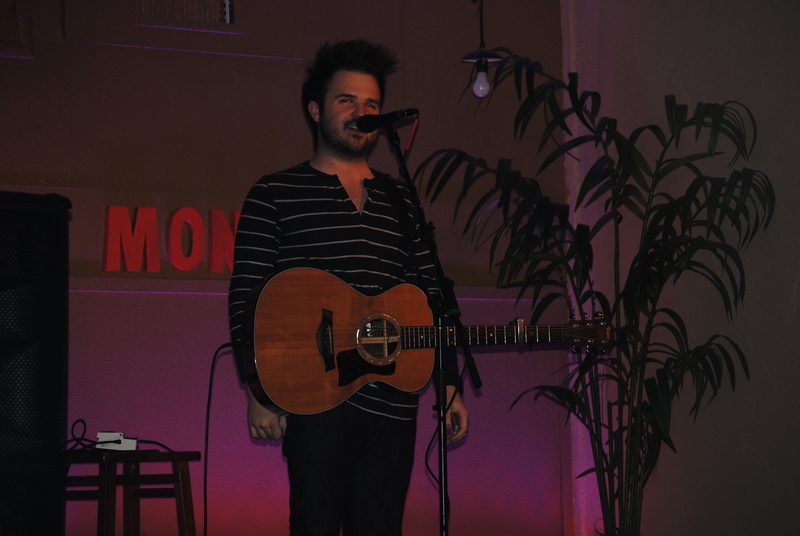 He worked with the crowd for some great audience participation on some of his songs. The highlight for me was a musical recap of his K-12th grade years in music, which had him retracing the key songs he remembers from that time in his life, performed and sung in choruses, not all of which he remembered. Some of the tunes were Paula Abdul’s “Straight Up,” Train’s “Drops Of Jupiter,” a Disney Channel band song I didn’t recognize (that’s not my bag at all), and the closer with a very sweet version of the theme song to The Fresh Prince Of Belle Air. Andrew Belle and Cody Carne’s music is available on iTunes and other online platforms. Check out their websites for more information. I’ll post a few podcasts from our session shortly. Stay tuned. ← Does Music Have Color? Well that makes sense then. The 3 (now 4) No Plays on the show include Michael Bolton, Yanni and Boy Bands. The 4th is Justin Beiber (sorry all your 12-18 year old girls who haven’t heard real music).